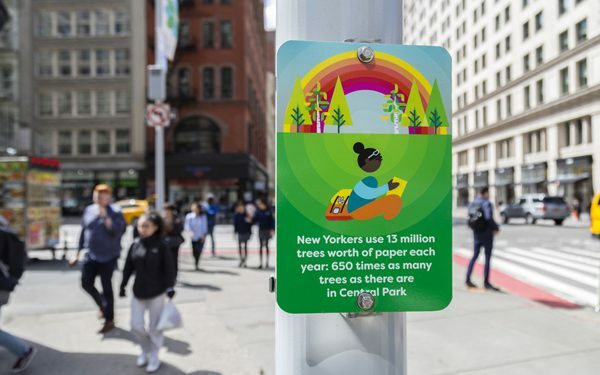 I worked alongside the New York City Department of Transport (NYCDOT) to create a huge series of street signs to raise awareness of environmental issues for Earth Day. 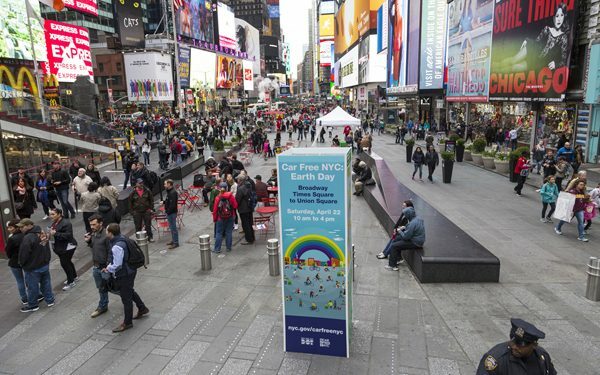 There were 43 sign designs in total, which were manufactured in printed aluminium and displayed on streetlights and signposts for 30 blocks of Broadway over the week surrounding Earth Day. 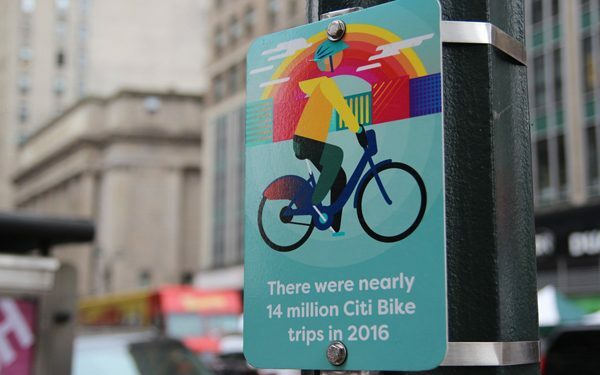 On the day itself much of Broadway was closed from traffic and used for public events. 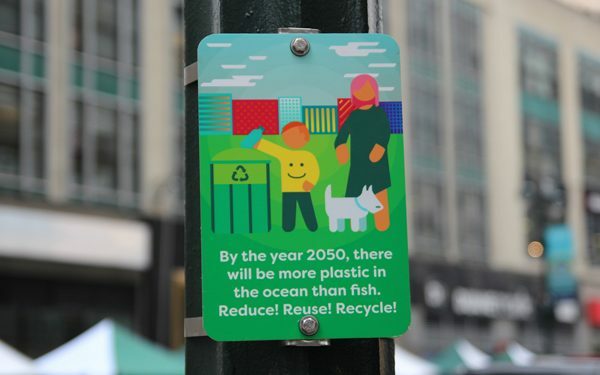 I also illustrated poster artworks to promote the Earth Day events taking place in Manhattan.